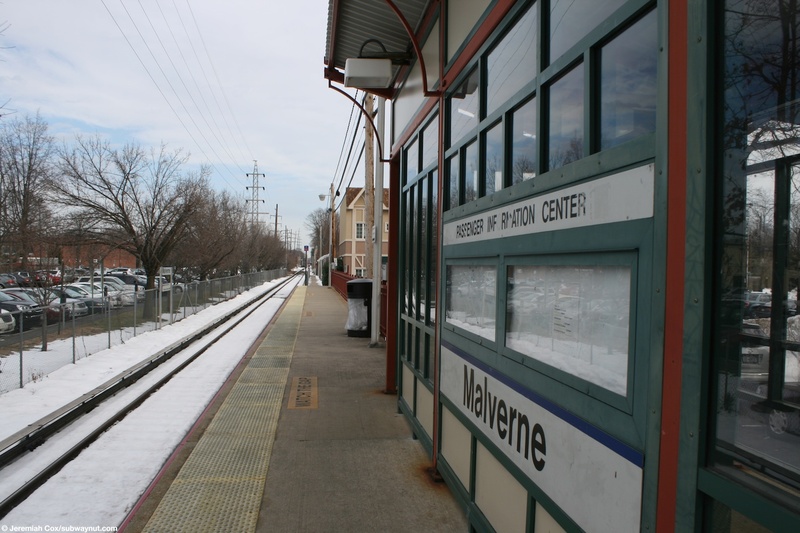 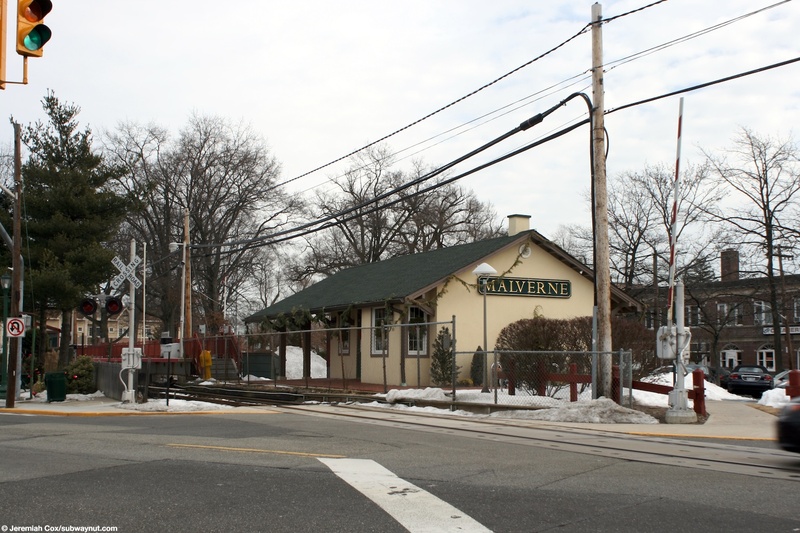 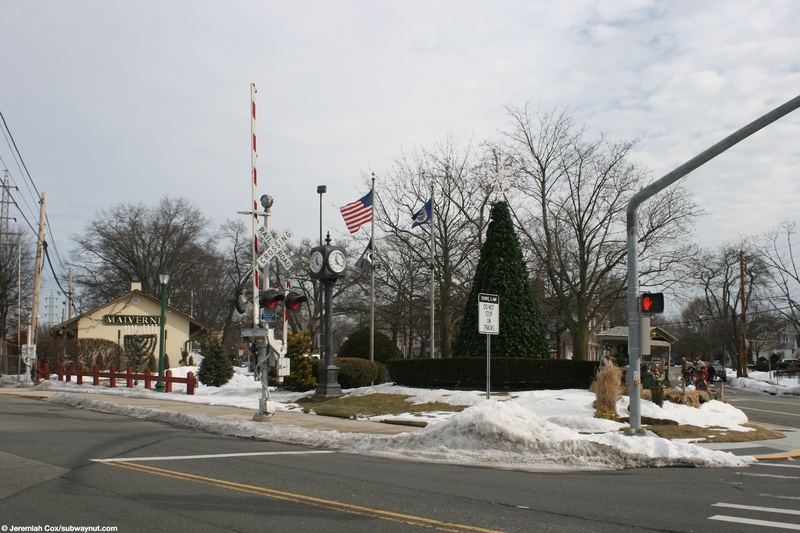 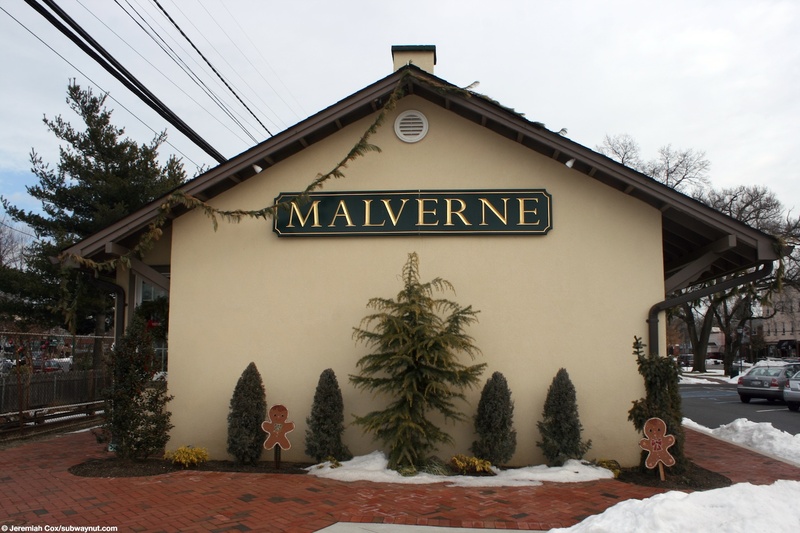 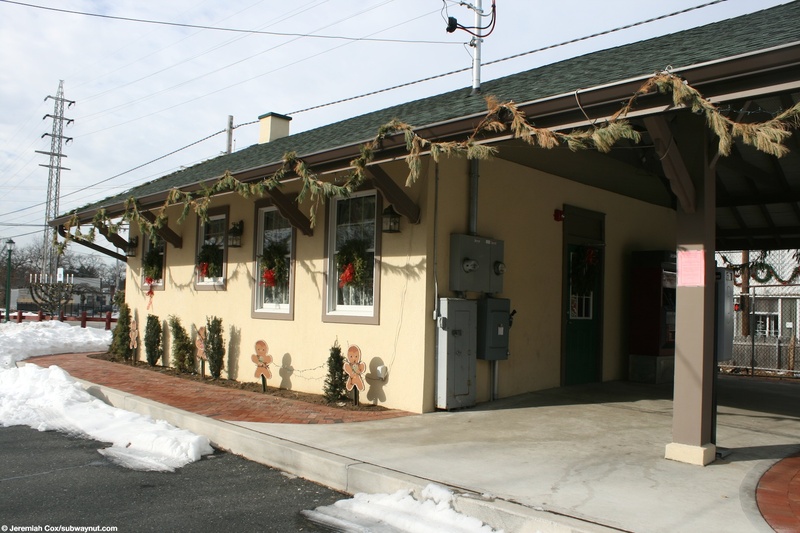 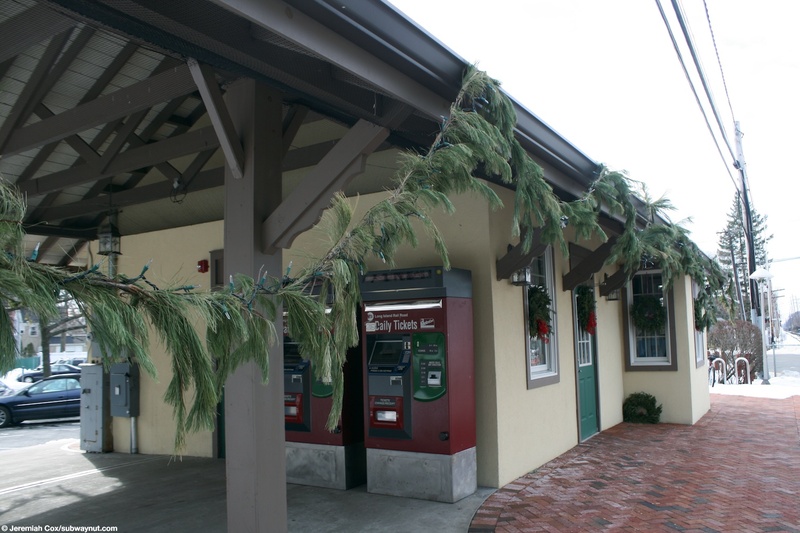 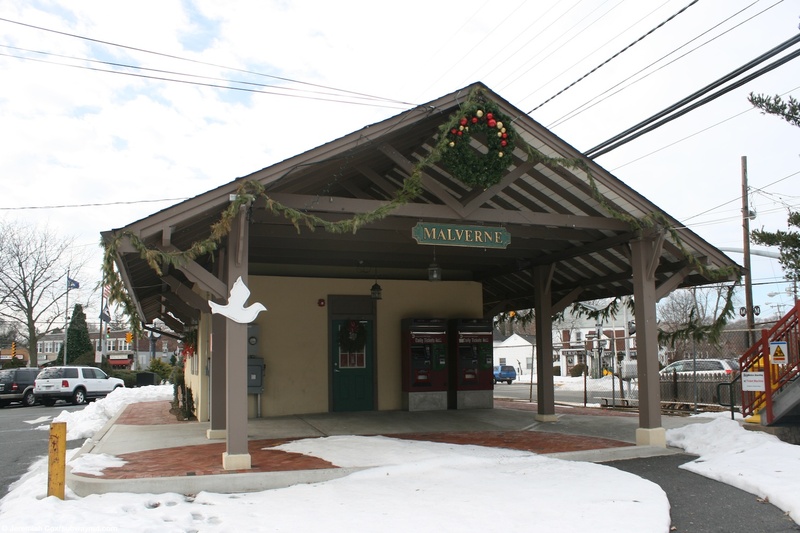 The Malverne station is the only station on the single tracked West Hempstead branch that still has a station house which has been converted into the village hall, which has the stations TVMs still beneath the eves of. 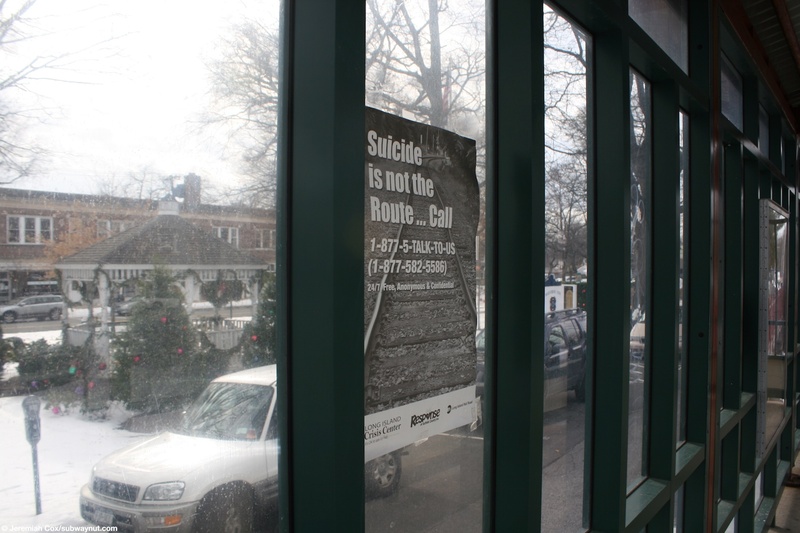 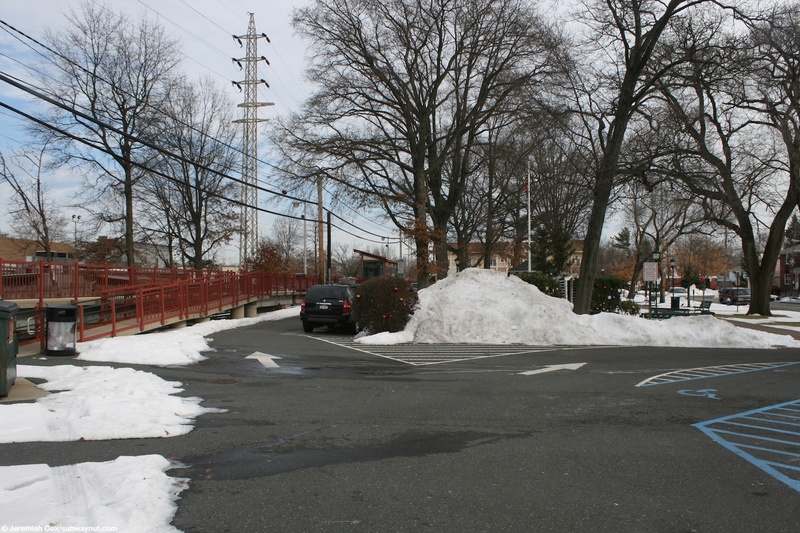 Just beyond the platform and the parking lot is the village green. 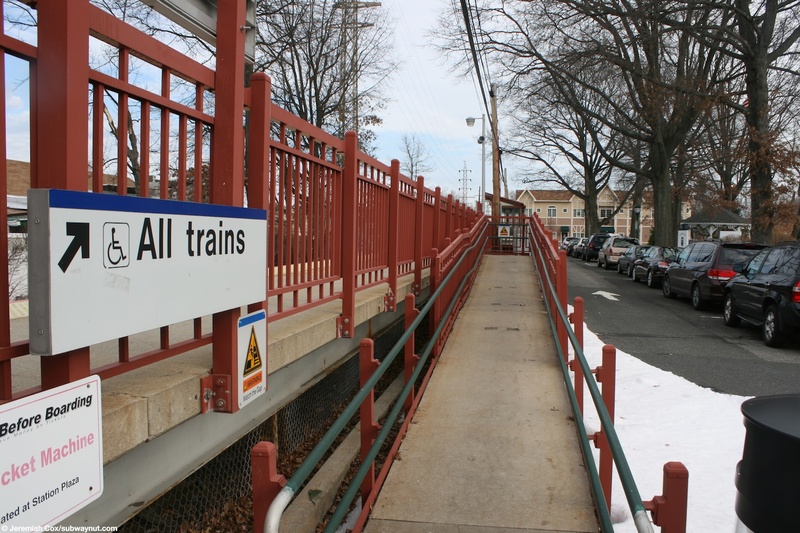 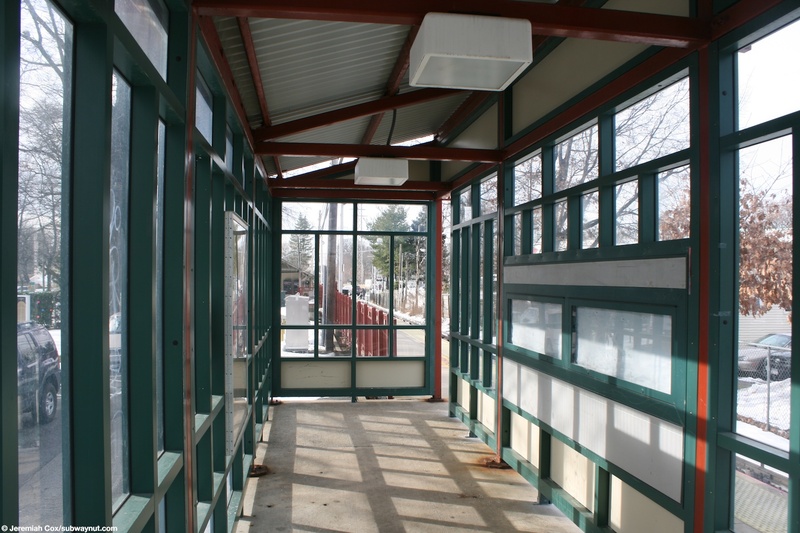 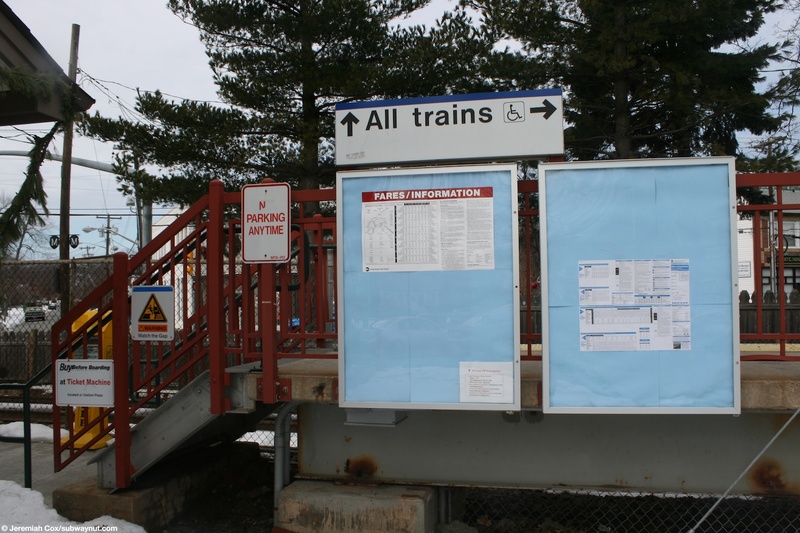 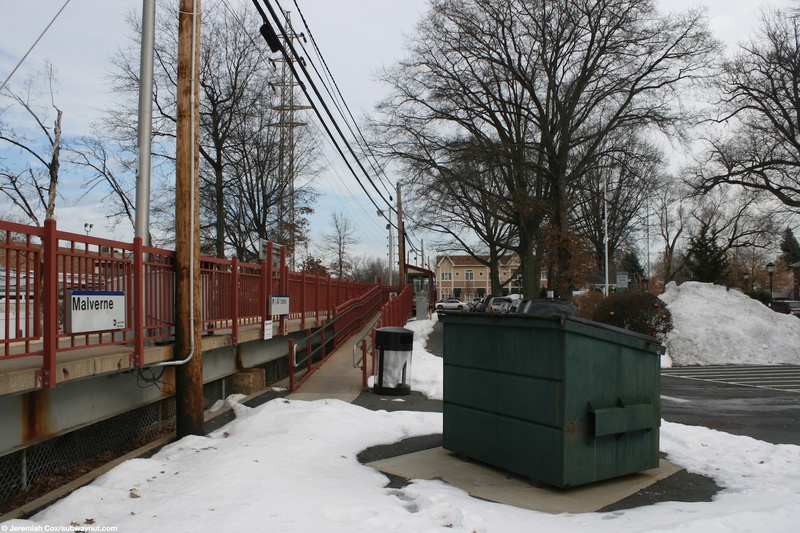 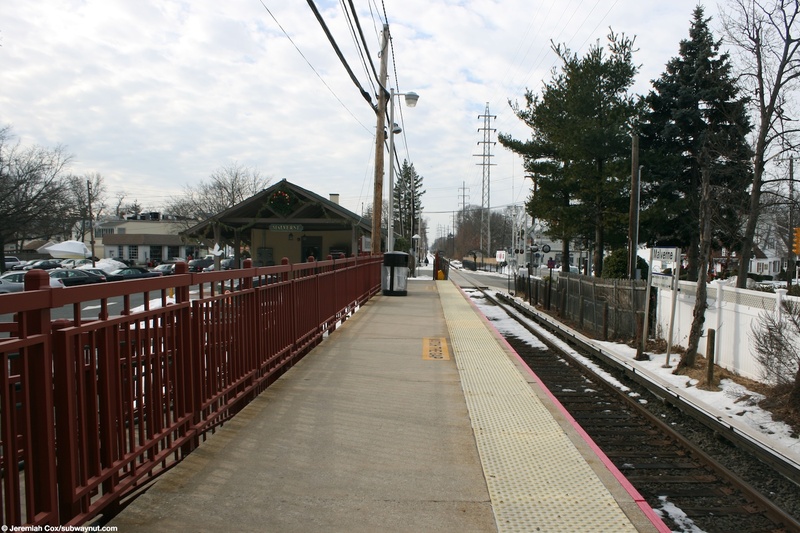 The single four car island platform is located just beyond this building and has the standard and unique to the West Hempstead brach red railings along with a small but enclosure with no benches it it that has a red eaved roof. 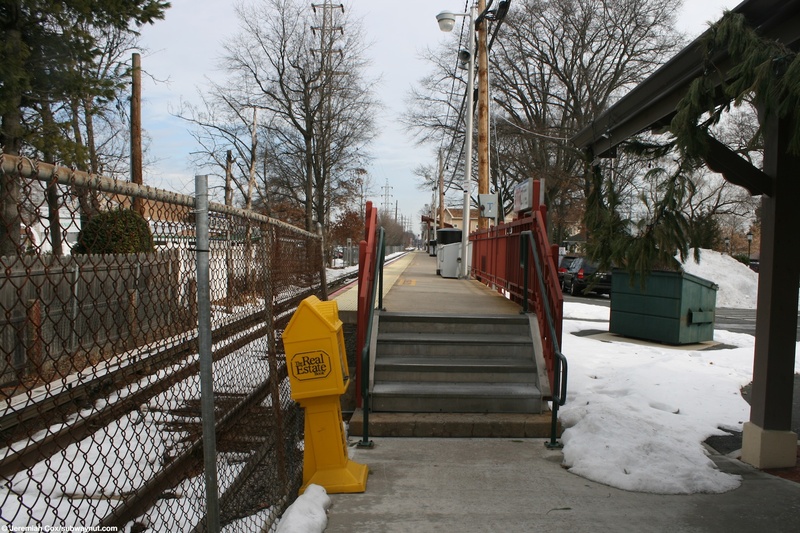 There is also the standard ramp up to the platform at one end. 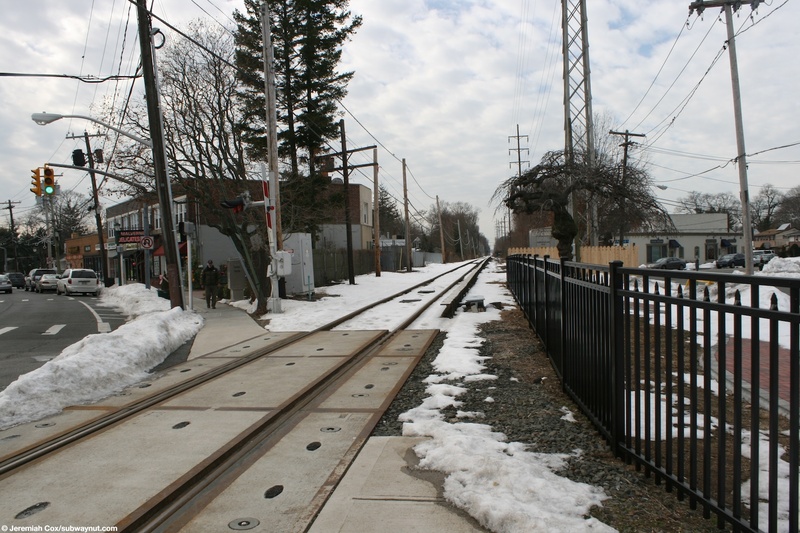 North of the station platform there is a narrow walkway between the tracks and a building complete with LIRR lampposts that lead to another pedestrian only with gates and bells grade crossing to another small parking lot on the other side of the tracks. 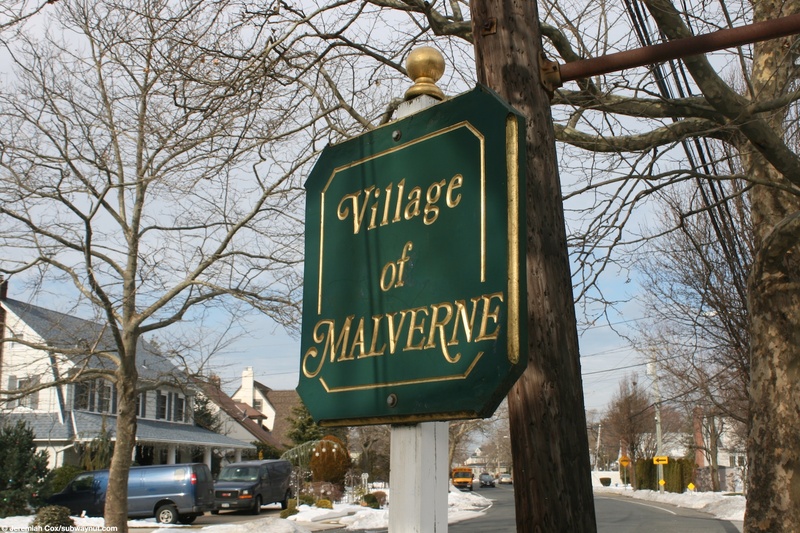 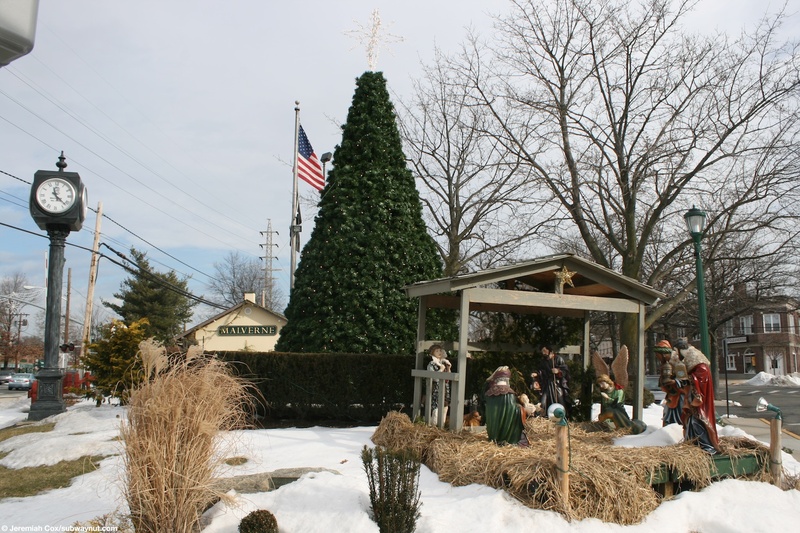 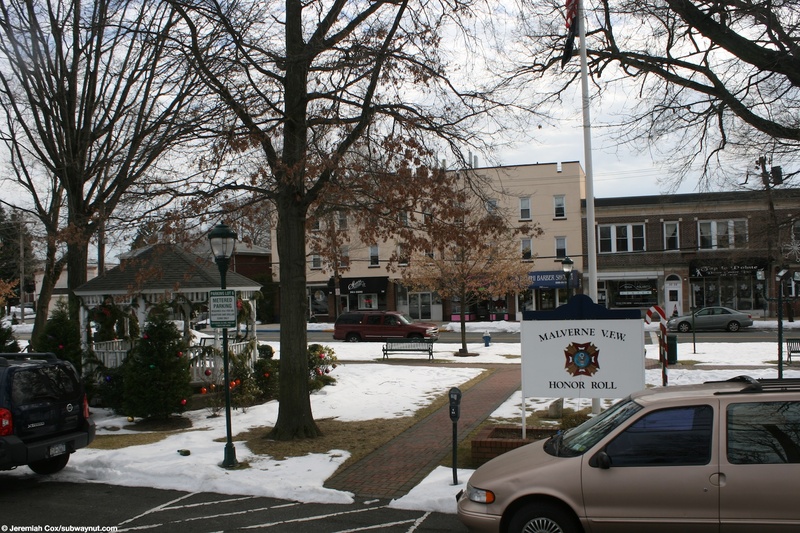 There are also plenty of businesses in the village center. 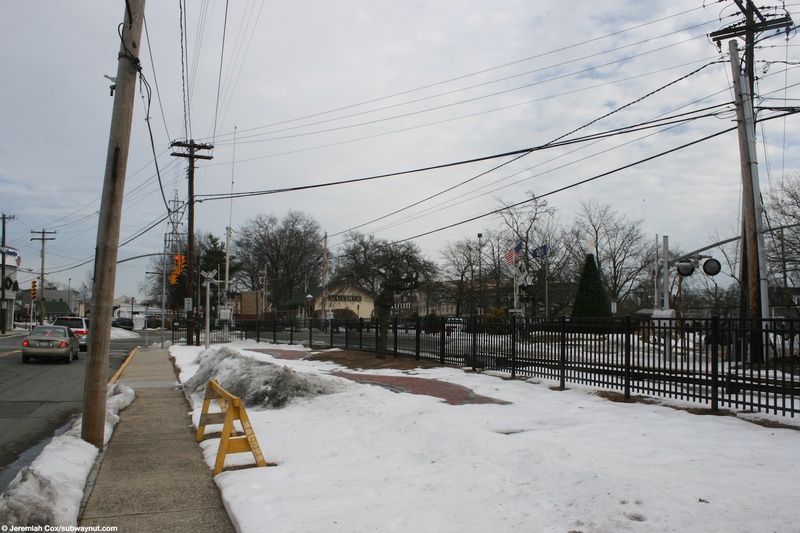 South of the platform just beyond the station house is the Hempstead Avenue grade crossing, a fairly major street.